Chronic inflammation is behind many of the diseases we now suffer from today. In fact, Harvard Health calls inflammation a, “unifying theory of disease,” and says it’s responsible for some of the worst diseases of our time — diabetes, heart disease, cancer and even Alzheimer’s. This makes lowering the levels of inflammation in your body vital if you want to live a long, healthy, active life with a sharp, clear memory. Yet, there are so many things in our lives that cause inflammation… from the food and drink we put into our bodies… to the toxins in the world around us… to the stress we’re under every single day. Thankfully, a natural compound found in green leafy vegetables is a potent inflammation fighter that can be used every day to lower your risk of all of those diseases. A Swedish study, published in Atherosclerosis, looked at the relationship between carotenoids — a large family of compounds that provides plants their gorgeous bright colors — and inflammation. The scientists knew that past studies had already shown that when carotenoid levels go down, inflammation goes up. But those studies had only been performed on animals or healthy human volunteers. They wanted to see if the compounds could work in people whose inflammation levels had already resulted in disease since their immune cells respond differently. So this time, they chose volunteers with heart disease. “A considerable number of patients who have experienced myocardial infarction still have low-level chronic inflammation in the body, even after receiving effective treatment with revascularization, drugs and lifestyle changes. We know that chronic inflammation is associated with a poorer prognosis,” said Lena Jonasson, professor in the Department of Medical and Health Sciences and consultant in cardiology, who led the study. The researchers started by measuring the levels of the six most common carotenoids in the blood of the patients. At the same time, they measured their level of inflammation in the blood using the inflammatory marker interleukin-6, IL-6. They found that only one carotenoid correlated with IL-6 – lutein (a compound known for its protective effect for your eyes and vision). The higher the level of lutein in the blood, the lower the level of IL-6. They decided to investigate how lutein could actually influence the cells in the blood that are involved in inflammatory processes. So, they collected immune system cells from the blood of the patients. They discovered that when those cells were treated with lutein, the inflammatory activity of the cells became significantly lower. Clearly, if you want to fight off inflammation and the diseases that come with it, such as the heart disease analyzed in the study, lutein should be included in your daily diet. 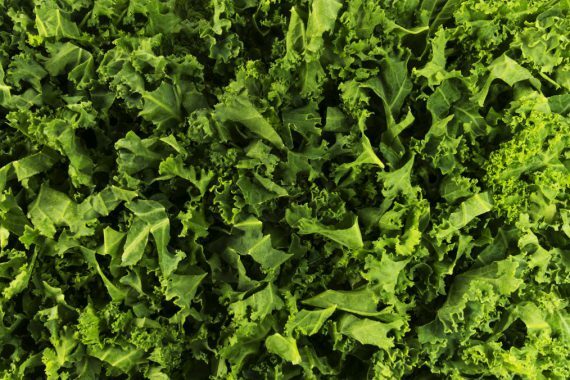 You can do this by eating lots of brightly colored fruits and vegetables — veggies with dark-green leaves, like spinach and kale, are particularly rich in lutein. A high-quality lutein supplement is also a good option if, like most people, you just don’t get enough of the green good stuff in your diet on a daily basis.